This dress has rows and rows of ruffles with a darling sash accent which is sure to make your little girl feel like a princess! 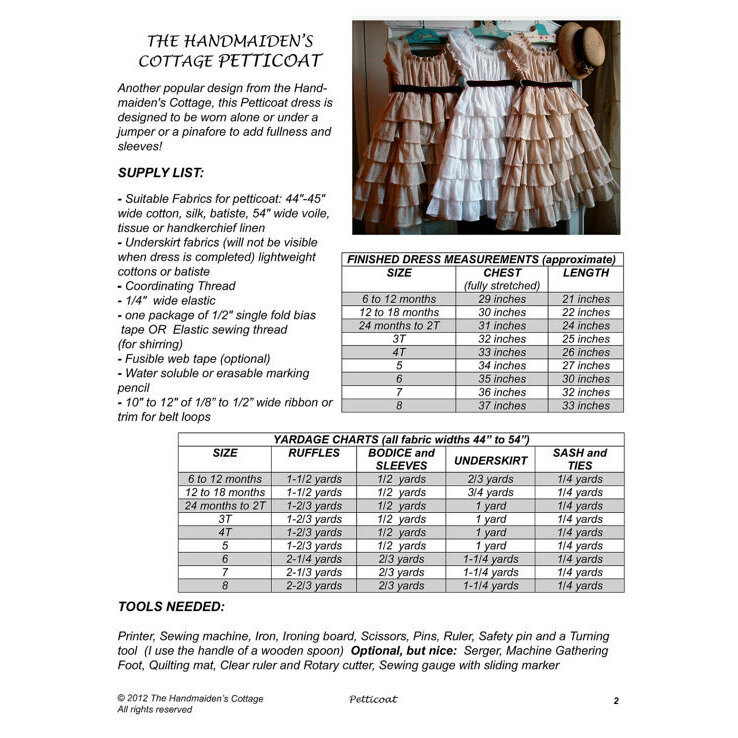 This Petticoat dress is designed to be worn alone or under a jumper or pinafore to add fullness and sleeves! 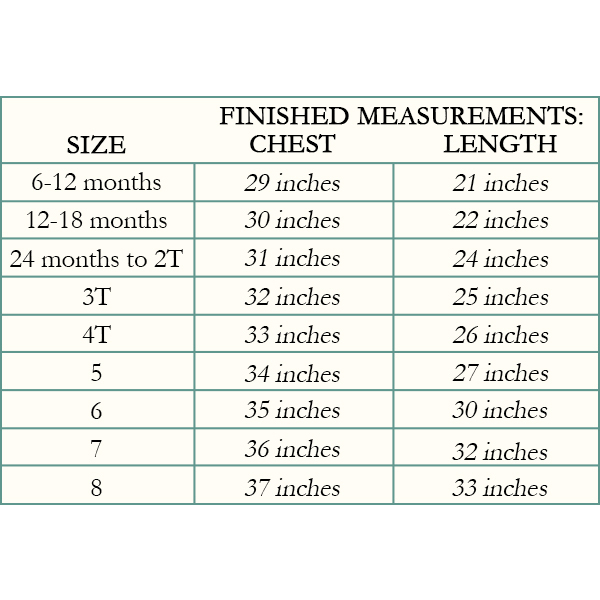 Pattern includes sizes 6 months through size 8. Dolly can feel like a princess too! 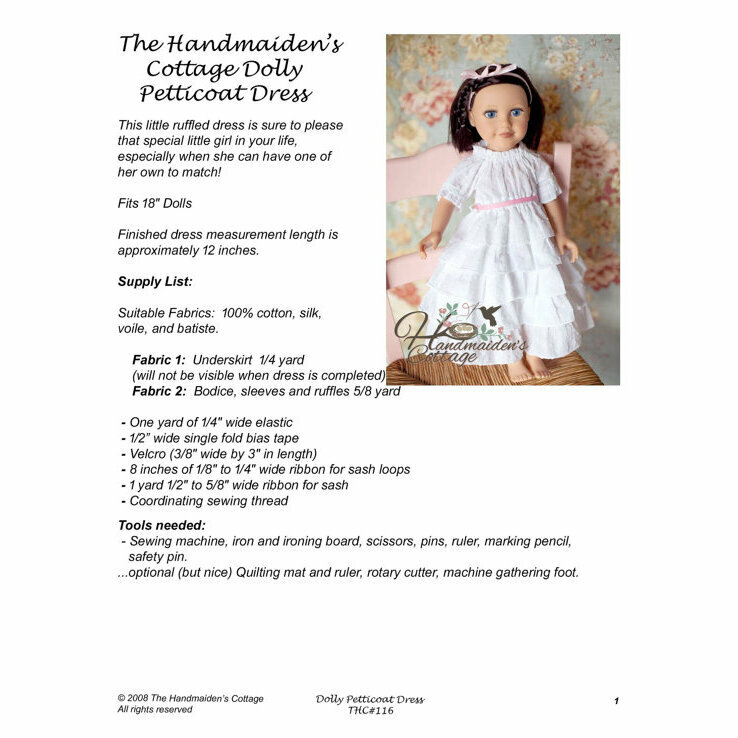 Create this darling dress for your little girl's favorite dolly. 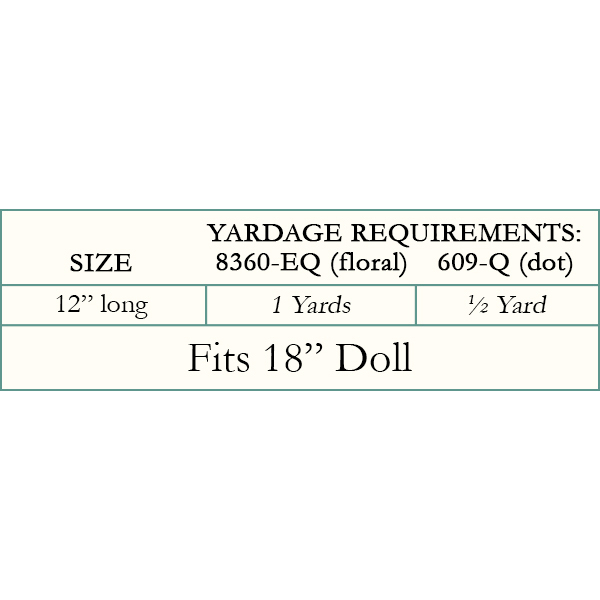 The dress is made to fit an 18 inch doll. Designed by the Handmaiden's Cottage.